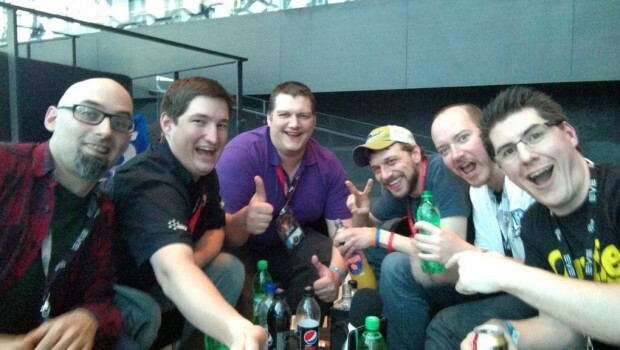 “There were a lot of podcasters and personalities at Fanfest 2015 so Xander did his best to grab a few of them to sit down and talk about the event immediately after the Closing Keynote. Joining Xander was Niden and OhTakashawa from CZ, Bam Stroker and Otto Bismarck from Eve Down Under and NinjaTurtle from Declarations of War. Again, many thanks to Xander for making this happen and all these awesome other guys for hanging out. A special post-FF podcast with most of our Crossing Zebra friends; once Xander has that put up we’ll be hosting it here as well. I gave a player presentation on Saturday entitled “Meta information in Eve Online” which CCP should be putting on youtube within the week; that will also be relinked here. I will also post the final slide of the presentation as that information was requested. And as usual, we’ll be recording our usual episode next Sunday and will bring you a full recap of all the fun stuff that went down at FF. Thanks for listening, we’ll see you soon. Short episode this week but thanks for listening all the same. I’m headed off to Fanfest in just a few hours and while we’re not doing any live coverage this year, I’ll still be taking notes diligently for a recap when I get back. Player presentations are supposedly streamed this year so catch mine Saturday at 3pm for a good laugh!